While Niue's landmass is only 260 square kilometres (100 square miles), its remote location about 2,400 kilometres northeast of New Zealand means it lays claim to vast tracts of ocean. 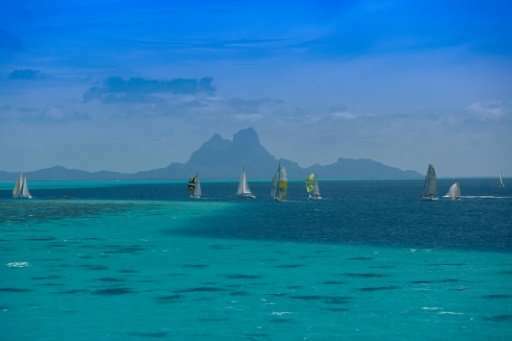 The government said that 40 percent of its exclusive economic zone, about 127,000 square kilometres representing an area roughly the size of Greece, would be set aside for the marine sanctuary. Premier Toke Talagi said his government wanted to stop the depletion of fish stocks and give the ocean space to heal to protect the environment for the next generation. "This commitment is not a sacrifice, it is an investment in the certainty and stability of our children's future," he said. "We simply cannot be the generation of leaders who have taken more than they have given to this planet and left behind a debt that our children cannot pay." Known locally as "The Rock", Niue was settled by Polynesian seafarers more than 1,000 years ago and the palm-dotted island's name in the local language means "behold, the coconut". The British explorer captain James Cook tried to land there three times in 1774 but was deterred by fearsome warriors, eventually giving up to set sail for more welcoming shores and naming Niue "Savage Island". 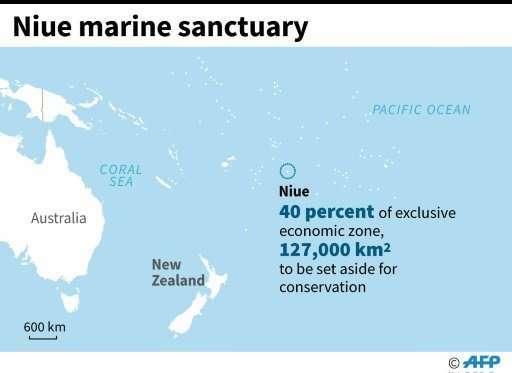 Map locating Niue where the government has announced plans for a vast marine sanctuary.